Whether you are a first-time parent or a more experienced one, the toddler years are sure to be a time of excitement. Those helpless baby days are long gone, and now your toddler is up and moving around the house. The amount of energy your child has seems almost supernatural at times, and you may find yourself struggling just to keep up. 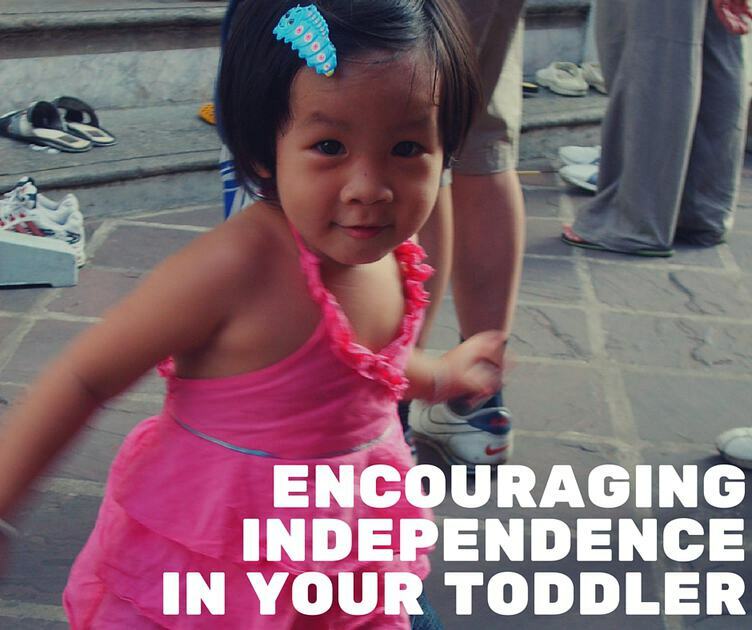 Now is the perfect time to encourage more independence in your toddler. Your son or daughter may not be ready for kindergarten or even nursery school yet, but there are plenty of things they can do for themselves. One of the smartest things you can do to encourage independence in your toddler is understand that they can now do basic tasks for themselves. From brushing their teeth and getting themselves ready for bed to putting their toys away and picking their dirty clothes up off the floor, there are plenty of chores your toddler can do to help out around the house. Do not be afraid to assign those age-appropriate tasks to your toddler. Doing things for themselves fosters independence and confidence in young children, and those age-appropriate actions are the perfect preparation for the school years to come. A good rule of thumb is to never do something for your toddler that they can do for themselves. If your toddler knows how to put their shoes and socks on, there is no reason for you to dress them before going outside. You may need to build a few extra minutes into your daily routine, but always encourage your toddler to do things on their own whenever possible. You can nourish that independent spark even more by encouraging your toddler to do things that they may find intimidating or even frightening. If your son or daughter has been hesitant to climb the slide on the backyard play set, stand behind them for support and encourage them to explore and face their fears. This safe and smart risk taking is one of the best ways to grow confidence in your child and make them more independent by the time they are ready for nursery school or kindergarten. Be sure to cheer your son or daughter on every step along the way, and be there to pick them up and soothe them if they fall. It is important to be a cheerleader for your toddler, but just as important to stand back and let them explore the outside world. Every new obstacle they tackle and every small triumph will build their confidence and help them be more independent.